Visit the five small villages of the famous Cinque Terre in Liguria, Italy and discover wonderful places and landscapes. 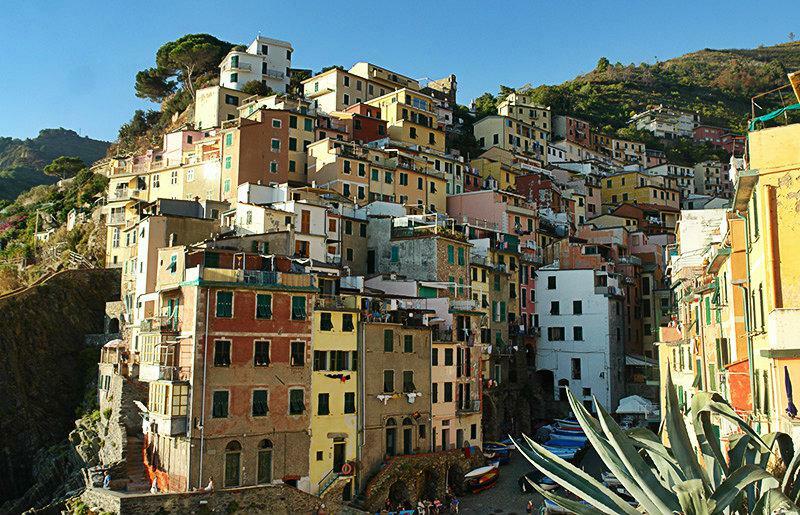 The individual, small villages of Cinque Terre are worth seeing. But the area itself has plenty to offer. Nature in Cinque Terre probably plays the biggest role; there are countless hiking trails between the rocks and along the slopes. This offers a grand view of the surrounding area, high above the sea. 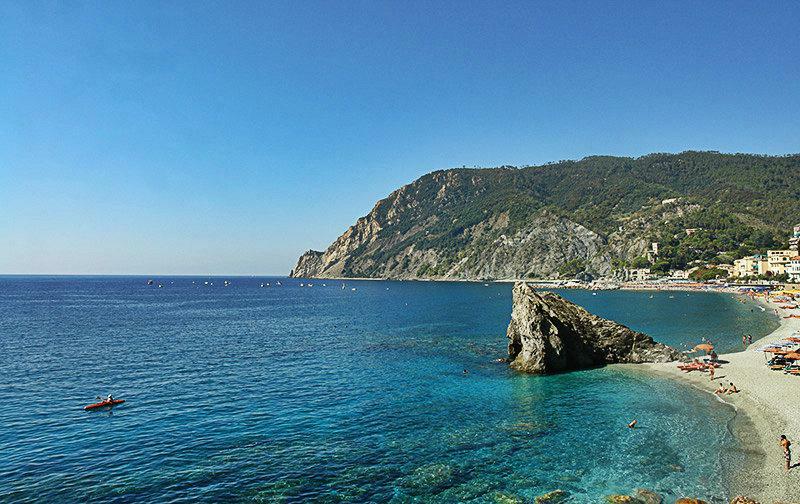 In 1997, the region around Cinque Terre was protected as a national park. Nothing can be changed or built here.The impressive villages are not connected by roads either, only through meetings and narrow footpaths, including the comfortable path “Via dell’ Amore”. The nearly 7,000 residents enjoy this stunning view of the sea daily. The combination of sea and the steeply sloping stone coast brings everyone into raptures. The great hiking trails that start from the villages are a real paradise for hikers. The most famous way here is the "Via dell'Amore". The different tracks leading through the virgin nature are something to reckon with. In case you are reluctant to go hiking alone, then "Trekguy - day tours" is an excellent tip. Pall will guide you safely through the Cinque Terre with many facts. 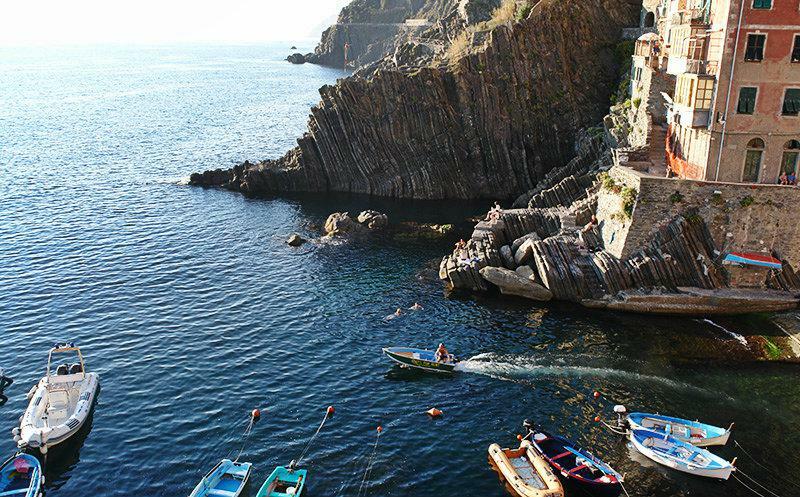 The best way to discover the villages is through the "Cinque Terre Trail". One can make a great tour from Monterosso to Vernazza and after about 90 minutes take the first break. One would then proceed from Vernazza to Corniglia (about 75 minutes). To cover this stretch, you ought to have already hiked one time or the other. The view is simply breathtaking. One can watch wine growers at their work in the vineyards depending on the season. 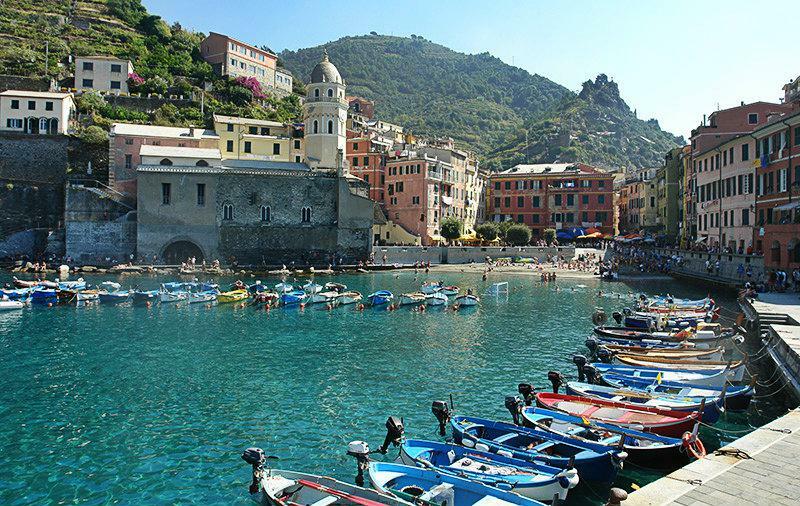 In addition, all sites offer boat tours for one to enjoy Cinque Terre from the water. The long beaches invite you to swim and relax. 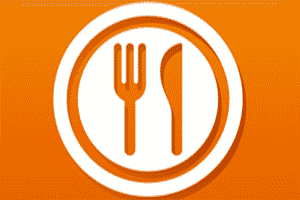 The typical delicious local recipes are something unique. The Ligurian cuisine is not known or popular throughout the world for no reason. In particular, the regional food, including fresh fish, lemon and olives will leave a mark on you. After enjoying the delicacies one will fondly remember those moments - for example, the “Galeteria Cinque Terre" ice-cream. The ice-cream in the Via Antonio Discovolo is definitively worth tasting. The different varieties are a real treat. 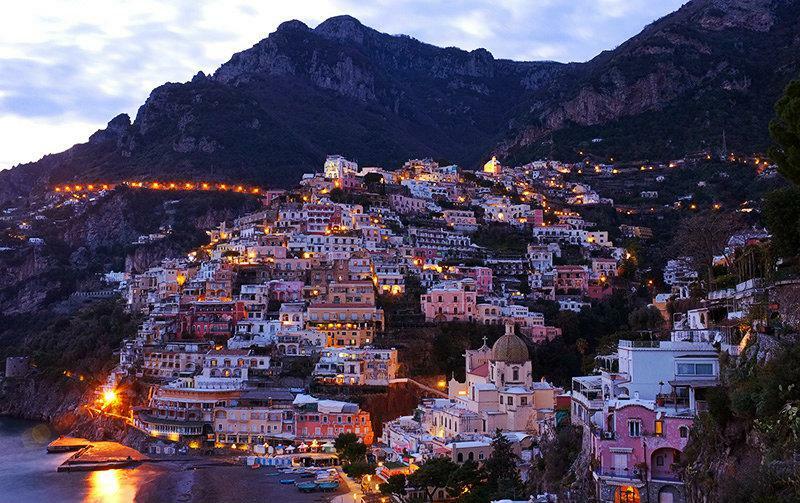 The “Nessun Dorma Cinque Terre “is a great bar for an evening in the Cinque Terre. Because of the perfect location Localita Punta Bonfiglio is ideal for enjoying the sunset over Manarola with delicious foods and drinks. The casual atmosphere makes the evening perfect. The first evidence of human settlers in Cinque Terre was given by human remains in the surrounding areas of Cinque Terre. They date back to the Palaeolithic period. The objects from the Bronze Age also show that Cinque Terre was a permanent and important populated area at that time. Cinque Terre was then colonized by Roman settlers. 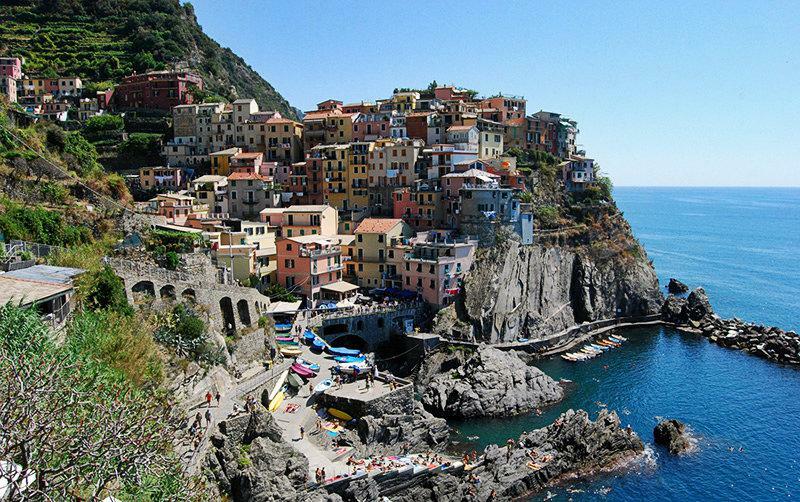 The villages of Cinque Terre then developed in the 11th Century, when settlers came from the mountains to the coast. 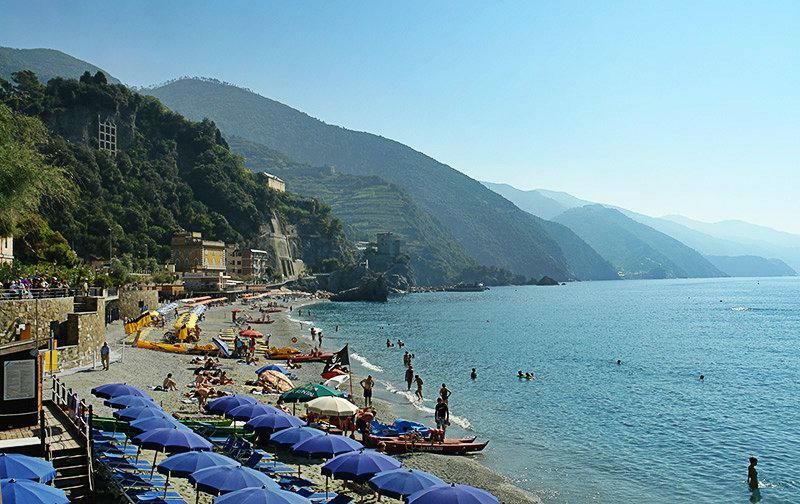 A total of five villages, four of which are right on the water, lie in the Valley of Cinque Terre. The area was then repeatedly attacked and looted by Saracens. People in Cinque Terre did not only live by fishing, but also by wine and olive growing, which were particularly made possible by the conducive climate. Agriculture was carried out also by building terraces into the mountain slopes. In the 12th Century Cinque Terre was annexed to the Republic of Genoa. An important port also grew up in Cinque Terre as well and Cinque Terre participated in the Battle of Genoa against Pisa. Cinque Terre was part of the Republic of Genoa for years, until it was incorporated into the Italian Kingdom in 1861. Cinque Terre has been part of The UNESCO World Heritage since 1997; moreover it is also a National Park. The villages of Cinque Terre lie west of Liguria, in the La Spezia Province. 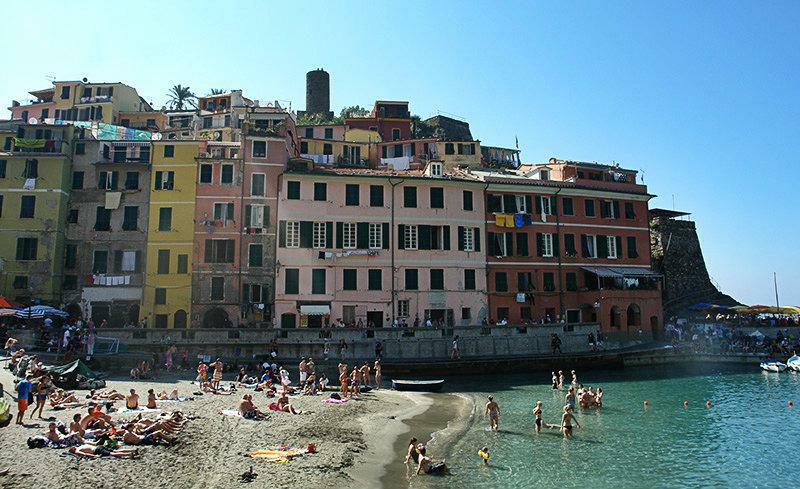 These are five villages: Corniglia, Manarola, Riomaggiore, Monterosso and Vernazza. They lie in a rocky coast inaccessible by car. This very special hiking paradise is situated on the Riviera di Levante and can only be reached by train.